NEW YORK, April 10, 2010 - Tibetan filmmaker Pema Tseden (Wanma Caidan in Chinese) spoke at the Asia Society following a screening of his second feature film The Search (2009), in a conversation with La Frances Hui, Senior Program Officer of Cultural Programs. The Search is the first-ever film made in Tibet to have been shot entirely with a Tibetan crew and in the Tibetan language. In this road movie, a filmmaker travels from village to village looking for actors to star in a film based on the Tibetan opera Drimé Kunden, a legendary account of a prince who selflessly gives away his children and his own eyes to those in need. The director holds auditions in the unlikely but all-pervasive contexts of contemporary Tibetan life—in building sites, streets, bars, nightclubs, and monasteries. Speaking in Mandarin (due to the last-minute unavailability of an Amdo Tibetan translator), Tseden shed light on the making of The Search. He discussed how the aesthetics of Tibetan thangka (scroll painting) inspired the film's storytelling and visual approach. "Within one thangka, one entire story is told," the director explained. Long and wide shots helps create a calm visual style, which establishes a certain distance for the viewer and renders the myriad aspects of contemporary Tibetan life visible in an all-encompassing picture. Reacting to the exoticized image of Tibet, the director argued it is important for his films to focus on "the basic condition of people in Tibet, as well as their basic emotional life." Click on the watch video link, above, to see highlights of Pema Tseden's talk and excerpts from his films. Live on-stage conversation translated by Vincent Cheng. Video subtitles translated by La Frances Hui. The film director and writer was born in 1969 in Hainan Tibetan Autonomous Prefecture of Qinghai province. Son of Tibetan nomads, he is the only one of three siblings to have finished school. He studied Tibetan Language and Literature at the Northwest University and has worked as a primary school teacher and a civil servant. He returned to school as an older student at China's most prestigious film school, Beijing Film Academy, with a scholarship from the Trace Foundation and became the Academy's first ever Tibetan student. 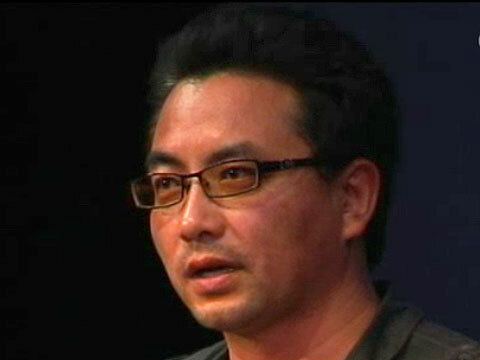 As a writer, Pema Tseden has published novels and essays widely, in both Tibetan and Chinese. As a filmmaker, he has made two features to date. His films have been recognized internationally but most notably for garnering top honors in China including a Golden Rooster Best Directorial Debut Award (for The Silent Holy Stones) and a Shanghai International Film Festival Jury Grand Prix (for The Search). This program is part of Soul-Searching in Tibet: Films by Pema Tseden (Wanma Caidan) series, co-presented with Columbia University's Modern Tibetan Studies Program, Trace Foundation, Maysles Institute, and Kham Film Project. Support for this program is provided, in part, by the Henry Luce Foundation, the Shelley & Donald Rubin Foundation, and the Center on US-China Relations.